Keyboard player and multi-instrumentalist Augie Meyers co-founded the Sir Douglas Quintet with his pal Doug Sahm, rising from regional to national fame in the late 1960s. 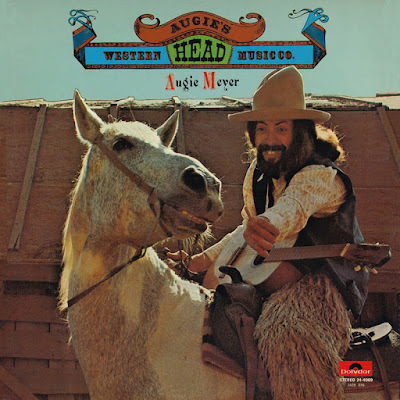 They scored modest Top Forty hits with songs such as "She's About A Mover" and "Mendocino," bringing a funky Tex-Mex groove into the world of hippie-era rock'n'roll, with Meyers' buoyant organ and piano playing giving the band its distinctive sound. At the peak of its fame, the Quintet moved to California, but broke up in 1973 with Meyers and Sahm coming back to Earth (and Texas) just in time to preside over the Lone Star indie-outlaw scene. They re-formed and perpetually mutated the band for years to come, working together on countless records, as well as projects with other roots-music artists. In the 1990s they teamed up with country star Freddy Fender and conjunto accordionist Flaco Jimenez to form the commercially potent Texas Tornados. Meyers also released numerous solo albums on his own indie labels.